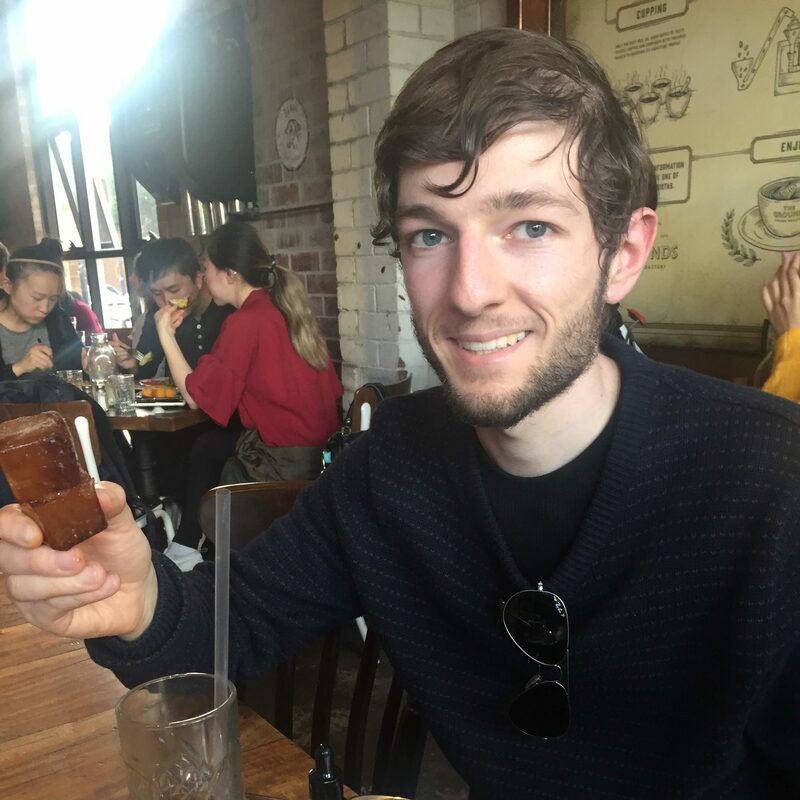 Last weekend, I was lucky enough to get to Sydney to attend HealtheVoices (which I learned is actually spoken more like ‘healthy voices’ rather than ‘health-e-voices’). After seeing the wild popularity of this conference among folks in the diabetes community who had attended US editions in recent years, I was curious to see what it was all about. This was the second edition that had been held in Australia, and my first time attending. Even if I didn’t get anything out of it, I figured it would still be worth attending just to catch up with some of the diabetes gang that would be there. HealtheVoices is run by a company called Janssen (pronounced yaan-sen), which I believe is the pharmaceutical division of Johnson and Johnson. Their mission is to create a world without disease, and hence this program which is designed to support online health communities and advocates. I guess this was a uniquely unique conference experience for me, because it put diabetes into a broader perspective of other health conditions. Just like diabetes, many of the other conditions represented there appeared largely invisible. I’d be lying if I said I didn’t find myself wondering where diabetes ‘sits’ in relation to all of the other conditions there. Some of the other health conditions represented there included crohn’s, colitis, arthritis, various cancers and cystic fibrosis related diabetes. There were people living with the conditions, representatives from health organisations and carers. I was once again on the receiving end of stunned looks upon telling people I had travelled all the way from Perth. 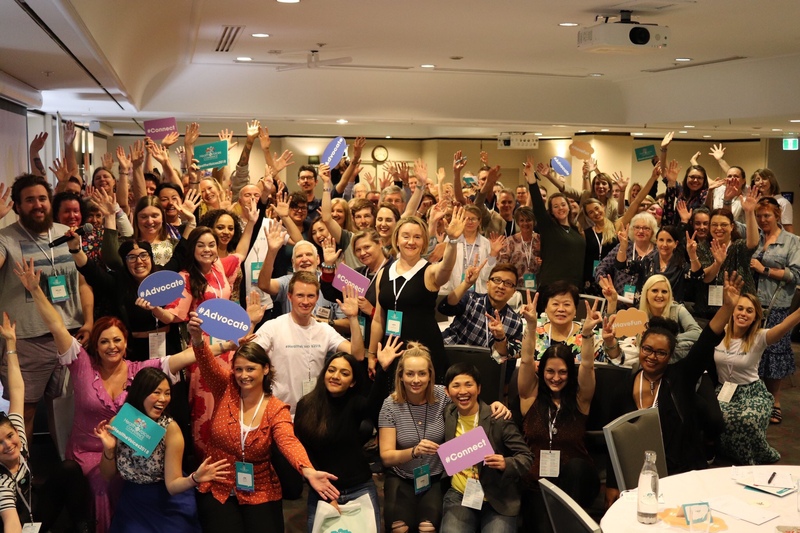 SANE Australia, who appeared to be a major partner of the conference, supplied at least 20 or 30 mental health peer ambassadors, which speaks volumes about the prevalence and need to address mental health. Throughout the weekend, I found myself explaining to others how the diabetes community operates, and how the diabetes ‘gang’ has become somewhat of a close knit group through social media, industry sponsored events, advocacy work and similar interests. As I was listening to keynote speeches and personal experiences being shared on stage, I was left wondering what ‘community’ looked like for people living with health conditions other than diabetes. Just last week, I wrote about how I have so many different ‘tribes’ that make up my diabetes support system. It couldn’t be more true. Because no matter where I am or who I am with, being part of the diabetes community always makes me feel that I am part of something bigger. I always, always, always feel like I am part of a community that has my back. I really wondered about the dynamics of other health communities, what sort of a role consumers have in those communities, and whether they were as ‘closely knit’ as mine. Something tells me that the diabetes community really is leading the way. Disclosure: Janssen ANZ covered my flights, accommodation and shuttle to Sydney airport to attend HealtheVoices. Dad gave me a lift to and from Perth airport, and I happily paid for my train fare into Sydney CBD as I wished to arrive earlier in the day. I was fed and watered across the duration of the event, and also received a tote bag with some HealtheVoices stationery. The only condition of my attendance is that I would disclose the above if I chose to share my experience online. These thoughts are entirely my own. I happily gave up a day of annual leave from work to attend, as well as my Saturday.